What do I need to bring to the food bank in order to get groceries for my family? This information is asked for each time you visit for food assistance in the afternoon. How many times a year am I able to come to the food bank? You are able to access the afternoon food assistance program 10 times per year. We do ask that you leave 30 days between your visits. You may access the morning drop in program for breads and some extras as many times as you would like. Will I get my food the same day? Yes, we have volunteers who will put your order together for you to take home that afternoon. How is the food bank funded? The food bank is funded entirely through private and corporate donations, we do not receive funding from any level of government. We are a registered charity and we provide tax receipts for all financial donations. You can make a financial donation through our website. 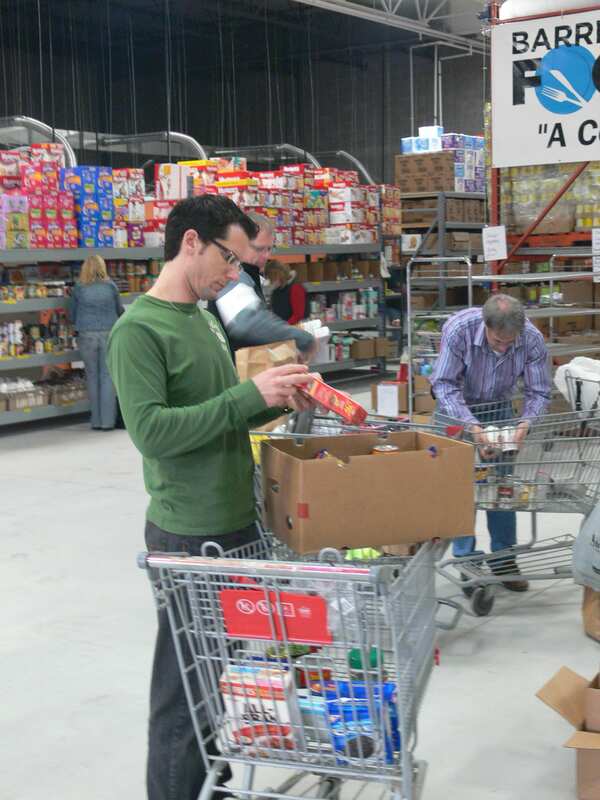 Does the food bank have an assessment process in place to ensure that the people receiving the food are truly in need? When accessing the food bank individuals will participate in an assessment interview. This assessment helps us to understand their needs and ensures that the food is fairly distributed among those who need it. It also allows us to find out what issues have brought a person to the food bank and gives us the opportunity to see if there are any resources we can provide to improve their situation. Please visit our Most Needed Items page to see our list. Do you accept perishable foods? Yes, we do accept perishable food. We have a large walk-in refrigerator and freezer and can now accept perishable foods such as frozen chicken, turkeys, ground beef as well as fresh vegetables and fruit. These items must be dropped off at the food bank in person.